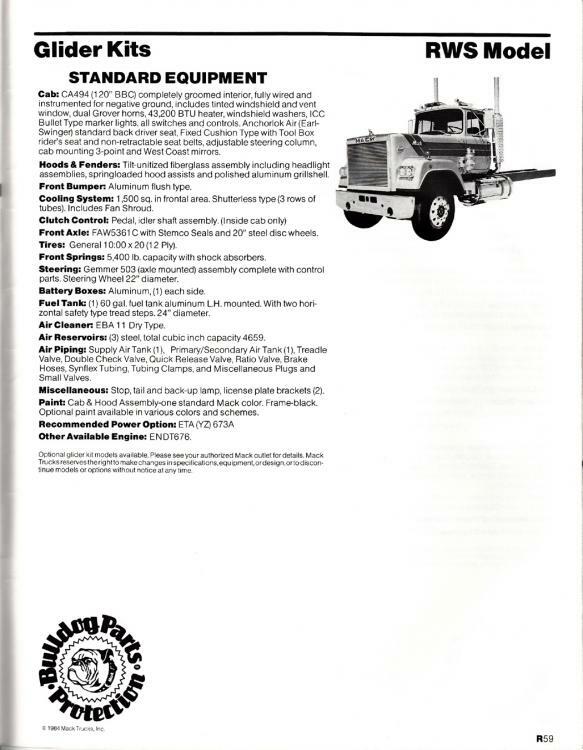 Still can't see why you can't order a Mack truck without a drive train. Call it a glider or a truck without a drive train. (Whatever) . As its coming down the line put the rear of the frame on the robot dollies and drive it out the door. Not that hard! Like the diet commercial Nutra-System says " You eat the food you loose the weight. Its not that hard"! Volvo should allow Mack to have that autonomy. Why should Volvo care? As small as the glider market is this shouldn't disrupt the factory assembly line that much. After all different models and chassis run down the same line. We are currently running 5 2012-2014 CHU's with MP8's and M drives. Love the trucks but all the issues on the emission side of the motor equal down time. So we have 2 , 00' CH's that cover for the new trucks while they are down. Parts pricing is nuts, which every brand has that problem, but if you can take the unnecessary down time out of the pictur, I think you would be ahead of it with the glider. I think if the Freaken was to EPA stop and Evaluated HOW MUCH waste and pollution they have created by Forcing truck makers to create 5 year throw away trucks the cost to the environment having to recycle this crap far surpasses the emissions they are trying to prevent! But sure helps generate revenue for the truck shops! Be proud your keeping others working while going broke! Problem with the guys I use is the fact that they insist that you have diagnostic adapter and some repair experience, but I can tell you for sure that they are the best money can buy. Reason I am saying that is because I re did couple of bad delete tunings done somehwer else, and had nothing but good luck with them. Also they can do the OBD Macks and Volvos.